“Today, while beautiful weatherwise, has had its ups and downs.” Mostly of the touron variety, alas. I drove in to the Smokies through Gatlinburg (clogged with traffic at nine in the morning) and headed down towards Cade’s Cove, where I experienced one of the worst traffic jams I’ve ever encountered, and that includes Seattle at rush hour. An hour and forty-five minutes to go five miles is a bad traffic jam, yes? But it was full of incredibly rude people on a narrow, poorly-designed road. Cade’s Cove, before it became part of the national park, was a backwoods settlement. 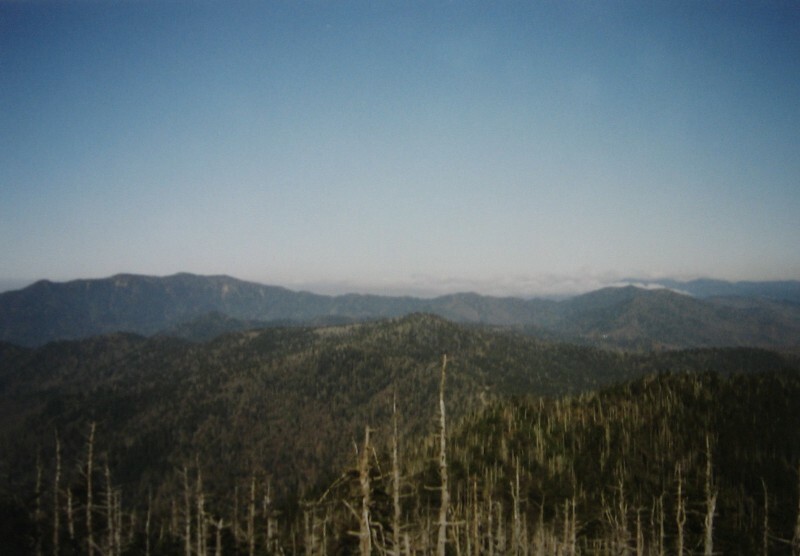 A lot of what is now Great Smoky Mountains National Park was privately owned, unlike the large western parks the land for which was mostly government land when the parks were created. One disastrous (I use that word deliberately) consequence of the park having been assembled piecemeal was that the federal government was forced as part of its acquisition of the land to allow free entry into the park in perpetuity. Most national parks charge a fee for entry, ranging from a couple of dollars for the tiny parks to $25 for places like Yellowstone and Yosemite. Having the most heavily-visited park in the national park system not be able to charge a fee does several really rotten things to the entire park system as well as to the Smokies in particular. One, it contributes no funds to the national park system in spite of being very expensive to run. Two, people value what they pay for. It was extremely obvious in my short visit to the Smokies that people do not value this park the way they do, say, Yellowstone or Mt. Rainier. Three, it’s not fair to the other parks and their visitors that they must charge admission and the Smokies get away without doing so. 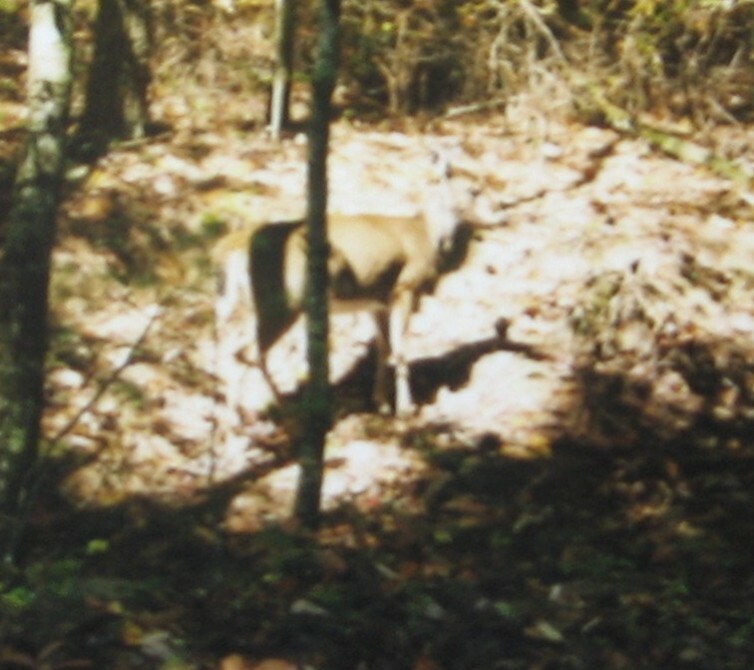 Besides, I’d have missed the deer. Clingman’s Dome, on a day like the one when I was there, is one of those “I swear I can see the curvature of the earth” places. But see the trees that look burned in that last picture? If only that had been a fire. “Some aphid from Europe destroyed all the Fraser Firs, and the only sure way they have of saving the Smokies variety from extinction is that they’ve preserved some of the seeds. They’re trying to save the few trees that are left, but the only sure way is to let all the trees die off so that the aphid has no food, let the aphids die off, then to plant those seeds.” Sad. 60 more miles of Parkway (the part I skipped because of the fog yesterday) tomorrow, then down to Atlanta, to see my friend Harriet again.